This is my first read of this author, and while I may or may not go back and read the first novel in the Samuel Craddock series, this was a pretty good mystery. It is a light, easy read that kept my interest. It is only a 3 1/2 star book for me because the mystery itself was not very compelling. The writing is good with well-developed characters. I cared about some of the characters and the author did not resort to typical small-town, Southern stereotypes. I am from Texas and know what this town would be like with its focus on high school football and how important that is. 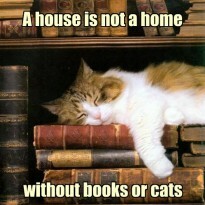 So that rang very true. Also the characters didn't all sound like local yokels which I appreciate. 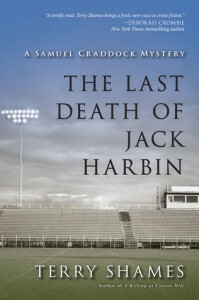 The mystery of the death of Jack Harbin just didn't stand out to me as very interesting though. I didn't know who the murderer was early on which always irritates me, but I kept waiting for something to happen. Once Jack was murdered, it was almost as if the story slowed down to a crawl. The ending then speeds up and races past with the explanation of the motive of the murder completed in a very short space. So pacing is something I would like the author to work on. All in all a nice mystery for readers who don't want anything too heavy.